The spa was founded in 1783 on the site of a spring whose healing powers had been known about long previously. The spa functioned as climatic and hydrotherapeutic, focusing on ailments of the nervous and motor kinetic systems. Visitors to the spa were treated to the then-modern Priessnitz and Kneipp procedures of natural hydrotherapy. The entire spa complex consisted of the therapy buildings themselves as well as ten villas for accommodating guests. The spa experienced its greatest period of prosperity at the turn of the 19th and 20th centuries and served its purpose until 1935. Later on it was used as a summer recreational center, then it simply fell into dilapidation. On the way for the former St. Margaret Spa, brave souls can try out the invigorating effects of wading in the creek (to the right beyond the bridge at Feferský Creek, at roadway No. 141 towards Volary). Above the St. Margaret Spa, in the forest at the base of Libín Mountain, stands the stone chapel of St. Philip Neri. It was completed and consecrated in 1861 on the site of a former wooden structure at what was hailed as a healing spring. The path through the woods to the chapel is lined with wayside chapels with 14 stations of the Way of the Cross. The paintings in the chapels of the Way of the Cross were created from 1999–2004 by the Prachatice native painter Václav Kuneš. This white cylindrical tower, standing on the mountain of the same name (1,069 meters ASL), is visible from far away. 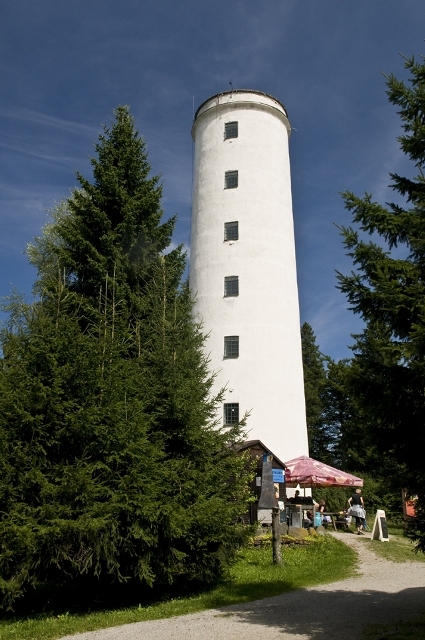 It stands 27 meters high and was built in 1883 by the German Šumava Hiker‘s Club. It originally bore the name of “Rudolph” in honour of the son of Emperor Franz Joseph I. The tower was reconstructed after a century of its existence in 1994. This settlement, located on the hillside of Libín Mountain, was first mentioned in 1351. A particularly interesting sight is the Gothic church of St. Anne, reconstructed in Baroque style in 1732. The surrounding areas still hold remains of concrete bunkers from the first Czechoslovakian Republic. At the base of the hill, a 1.5 km long rope park has been recently built with over 80 obstacles, one of the largest rope parks in Europe. Skiers will be pleased by the downhill course with ski lift, and you can even ski at night. This educational trail begins on the Small Square (Malé náměstí) below Lower Gate (Dolní or Písecká brána) and leads you around the former town fortification walls from the 16th century. 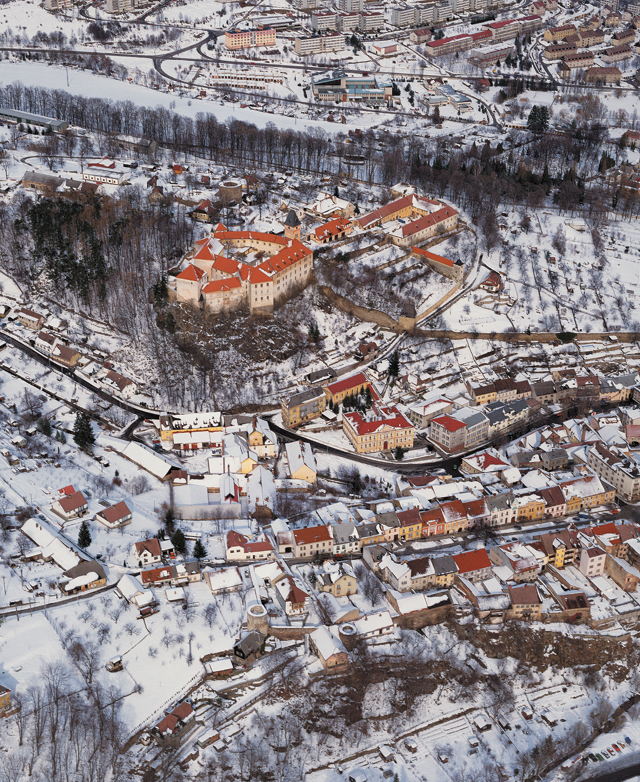 The trail features bastions as well as the site where the second entrance gate into the town stood, known as Upper Gate (Horní brána), or Passau Gate. There are five information panels along the trail. The beginning of the trail features an interesting fountain by the Czech sculptor Olbram Zoubek, then the nearby bronze statue “Person” from Otto Herbert Hajek. No. 2, 1.5 km, cca 45 min. This takes you along the route from the center of Prachatice to the cemetery church of St. Peter and Paul in Old Prachatice. The trail starts at the lookout point “Na Skalce” (On the Cliff) on the stop „Na křemenném valu“ (Quartz Rampart) which offers many pleasant views onto the town from various sides. There are benches at stops along the way. This hiking trail follows the Medieval Golden Path with 12 stops. This small town on the Blanice River lies about 5 km southwest of Prachatice. The village is renowned, and not only in Bohemia, primarily as the birthplace of the religious philosopher and reformer Jan Hus. It probably began as a settlement on the Golden Path in the 13th century. The town center, named a historical zone in 2003, holds an originally Gothic parish church of the Erection of the Holy Cross from the middle 14th century. The church was reconstructed into its present Baroque appearance in 1802. The Neo-Romanesque cemetery church of St. Cyril and Methodius comes from 1870 and was partly financed from public collections. 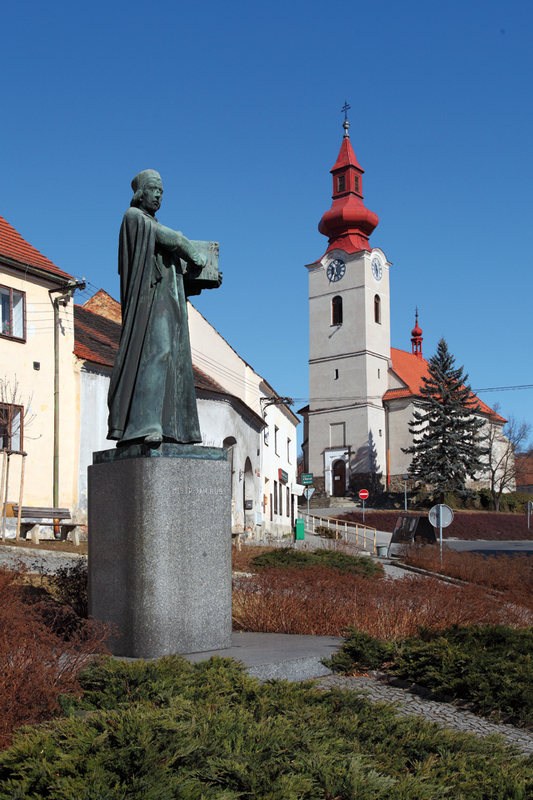 The town square bears a statue of Master Jan Hus from 1958 by the academic sculptor Karel Lidický. The town‘s main street is the location of the most valuable historical street in Husinec, house No. 36. This house stands on the site of the original house in which the preacher and reformer Jan Hus was probably born between 1364 and 1376. The house has been officially accessible since 1873 and is protected as a national cultural monument. It contains a permanent exhibition acquainting visitors with the life and work of one of the greatest figures of Bohemian history. Part of the exhibition is also a gallery of another Husinec native, the painter Josef Krejza. The water reservoir on the Blanice River above the little town of Husinec is the last stonewall dam in Europe in what used to be Czechoslovakia. It was built by the company of Ing. Štěrba from Beroun at the cost of 16 million (then) Czechoslovakian Crowns from 1934 to 1939, while the work was finished during the age of the Nazi protectorate. The new borders of occupied Czechoslovakia passed directly through the body of the dam. 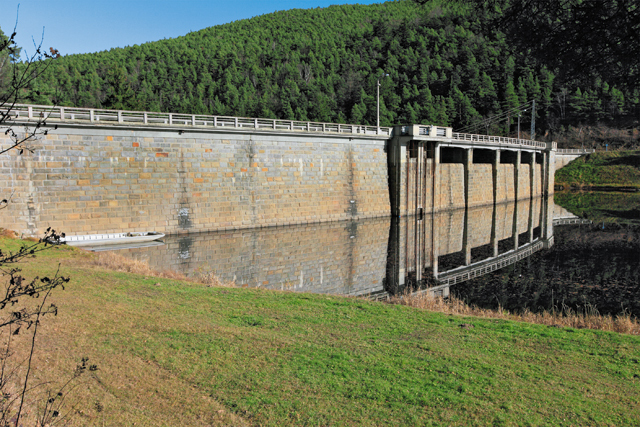 The dam itself is 196 meters long and 34 high above its foundations. Part of this waterworks, serving as a source of potable water for the city of Prachatice, is a small hydroelectric power plant. This town holds a Gothic-Renaissance fortress, first mentioned in 1384. It was the property of the Rožmberks from 1548 who built a brewery here and reconstructed the fortress in Renaissance style. It later became the property of Johann Ulrich of Eggenberg. In the 18th century it passed to the hands of the Schwarzenbergs who transformed this Medieval building into a granary in 1777. The earliest mention of this area comes from 1341. At that time, a stronghold was built on the site known as “Na Husi” with the permission of King John of Luxembourg. The purpose of the stronghold was to protect the new villages emerging in the area. It was a very extensive and well-fortified stronghold on an elongated promontory surrounded by the Blanice River. It existed only for about a hundred years until it was burned down and demolished. Only certain smaller remnants of the peripheral walls of the palace, fortification walls, and a single tower remain of the stronghold today. 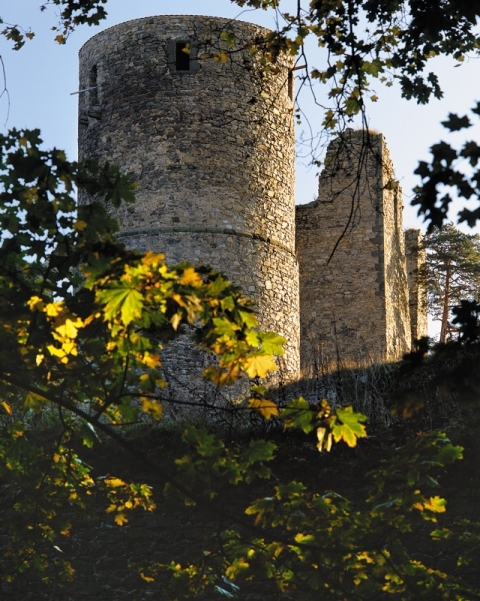 This romantic castle ruin, hidden in the woods above the Blanice River, is reachable by taking the blue hiking trail from Křišťanovický Pond. 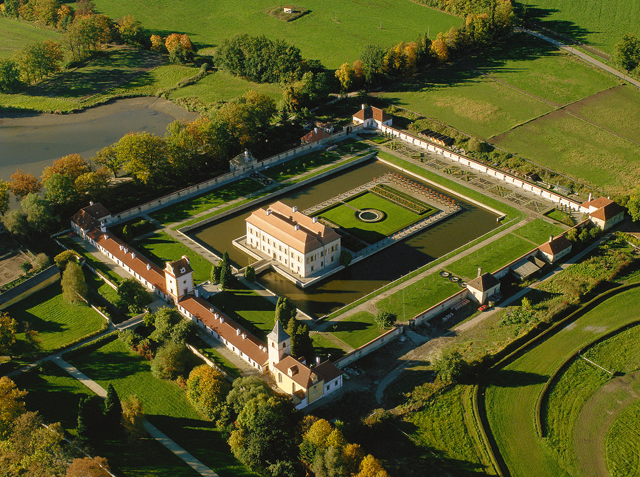 In 1583, Vilém of Rožmberk ordered the commencement of the construction of a hunting manor inspired by Italian villas, entrusted into the hands of the northern Italian architect Baldassaro Maggi di Arogno. At first, the work was hindered by the site‘s swampy terrain, but the structure was finally built on oak and alder foundations. The entire work, including the Renaissance stucco decorations of the interiors, was completed within a mere six years in 1589. This enchanting summer residence is surrounded by a graceful Renaissance garden with a water moat. This is an extensive castle ruin west of Bavorov. The original stronghold was founded in 1355 by the Rožmberks with the permission of Emperor Charles IV, and it seems that the construction was mostly complete by as early as 1364. The stronghold‘s significance later declined and has been mentioned as “deserted” since the 16th century. The stronghold‘s ruins show a nearly circular architectural layout dominated by two cylindrical towers. The site is open to the public and offers rich panoramic views onto the Strakonice landscape and the Šumava mountain belt. This town, now positioned on the boundaries of the Šumava National Park, began as one of many pack-animal exchange stations for merchants travelling along the Golden Path. 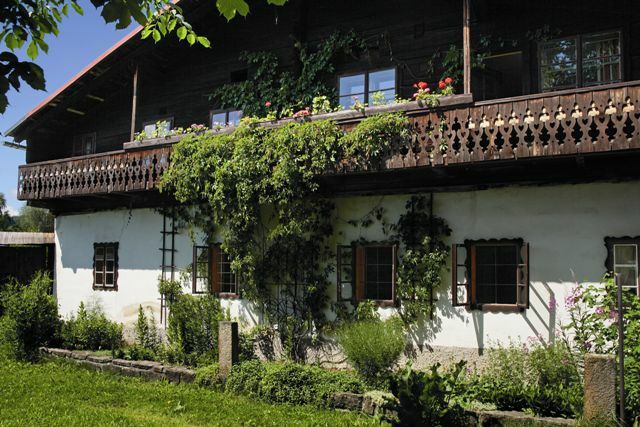 There is a large amount of wooden houses (“Volary style”) that serve as a reminder of the later waves of colonization from Austria‘s Styria and Tyrol regions. 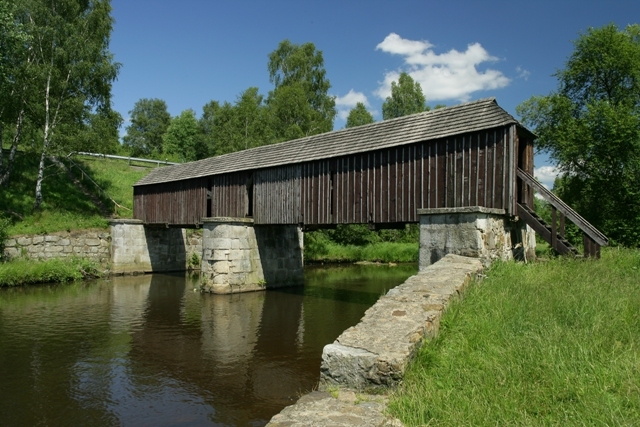 These structures have led Volary to be named as the “largest wooden town in Europe”. Even though most of these structures were destroyed during a great fire in 1863, several of them have survived and may be admired today. This ancient, or old-growth, forest is a complex of mixed forest growth (predominantly spruce, fir, and beech) that has been left to its own evolution. Some trees here are as old as 400 years and reach up to 50 meters high. The forest‘s territory covers 150 hectares and was removed from normal forest agricultural use in 1858. Today, the forest reservation covers 666 hectares and the most valuable area of the forest at the center is not accessible to the public. The oldest and tallest tree was the “King of the Spruce” (a common spruce 58 meters high with a trunk 508 cm around) which fell during a windstorm in 1970. It was 440 years old. Thanks to scions that were taken when the tree was still alive, there are several dozen of its “descendants” growing around the area today. This is another town known as a “Gateway to Šumava”. 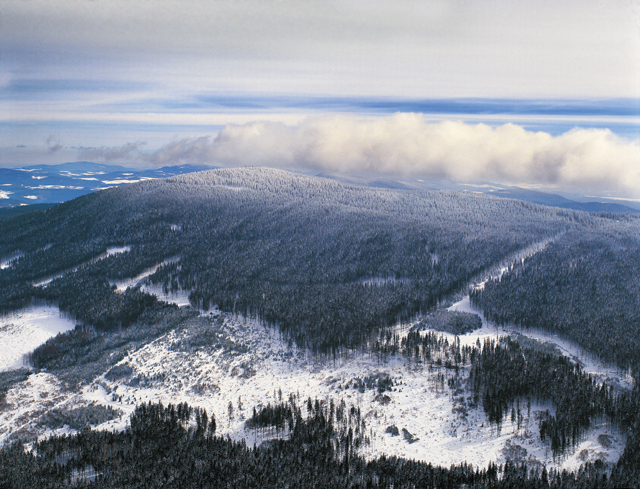 It lies beneath Boubin Mountain in the valley of the Volyňka River and is the administrative center of the Šumava National Park and Protected Landscape Area. There was a Gothic stronghold in this town from the middle 13th century that watched over the Golden Path, later reconstructed into a Renaissance castle in the middle 17th century. The castle‘s present appearance is the result of a reconstruction following a destructive fire in 1857. The original settlement was fortified in 1479 and elevated to township status. Vimperk is renowned for its long-standing printing and glassmaking tradition. The first mention of this town comes from 1274, but the settlement likely existed somewhat earlier. A fortress stood here from the very beginning, then a Baroque castle was built on the same site at the end of the 17th century. Part of the castle complex is also a massive Baroque building of the former feudal brewery from the 18th century. There is an Early Baroque church of the Annunciation of the Virgin Mary that stands in the town, built in 1659–1669. Remnants of the former Jewish community, quite large in the early 19th century, are now a Jewish cemetery and a simple synagogue from 1784. The Old Town of Vlachovo Březí has been declared a municipal historical zone. In the nearby town of Dolní Nakvasovice, the stone-mason and renowned builder/artist Jakub Bursa was born in 1813, later the most celebrated representative of the architectural style known as South Bohemian Rustic Baroque. Formerly known as Guthausen, this is a small town at the base of Stožec Mountain (1,065 meters ASL) that was originally founded as a lumberjack community in 1816. Today it primarily serves as a recreational area. The ensemble of wooden folk “Volary type” structures is protected as a historical zone. 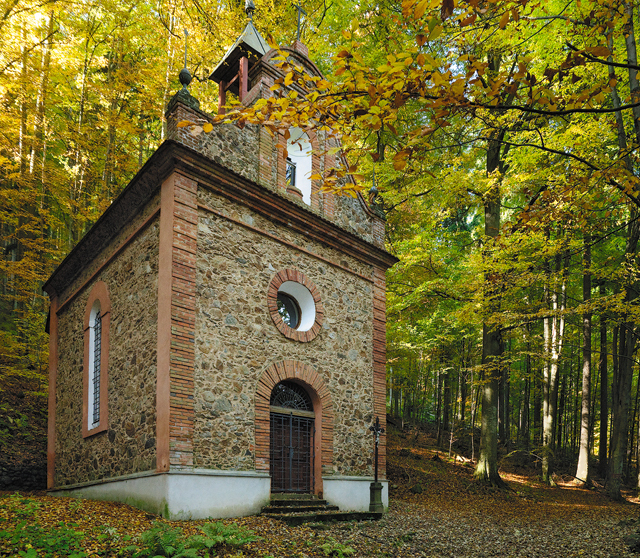 This is a shrine chapel of the Virgin Mary, known in German as “Tussetkapelle” and built in 1791 on the site of an allegedly miraculous spring. The chapel fell into disrepair after World War II and was finally demolished in the 1950‘s. The renewed chapel as we see it today comes from 1988 and is mostly the credit of the Prachatice native Jan Kocourek. 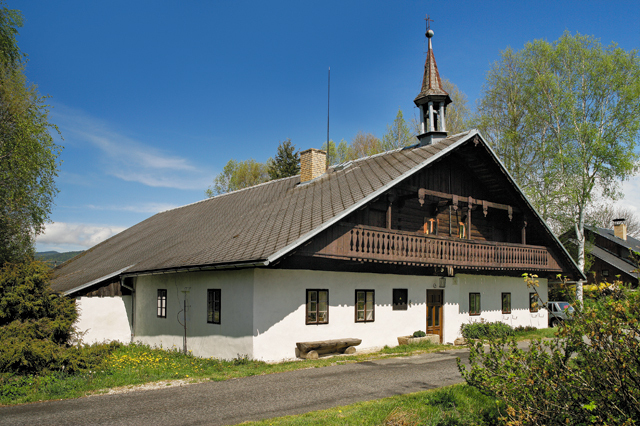 The Stožec Chapel has been the site of regular pilgrimages since 1989. 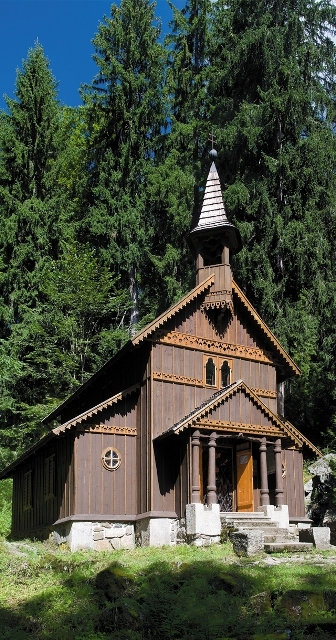 There was a faithful replica of the original beloved chapel built and consecrated in Bavaria‘s Philippsreut in 1985. 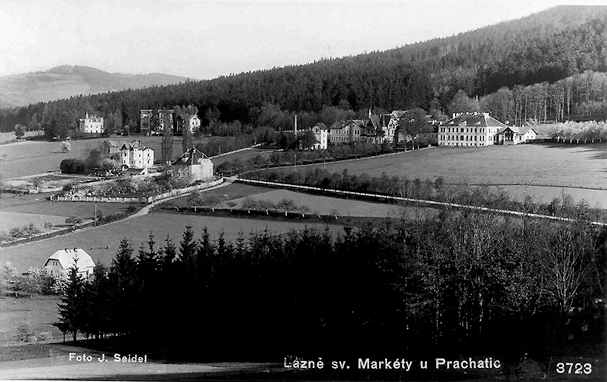 This is one of the youngest townships in Šumava, founded near a celebrated glass factory in 1834. The town was originally named Eleonorenhain in honour of the wife of the dominion‘s owner, Johann Adolph of Schwarzenberg. The town is now the site of a glassworks museum, a historical public bread oven from the early 19th century, and a covered wooden bridge spanning the Vltava River, locally known as Rechle. In the past, this bridge had the added function of catching and counting logs that were navigated down this part of the river. When the water level is high enough, the town of Lenora, or a bit downstream from it at the Soumarský Bridge, is a traditional departing point for rafters and canoers. This route is one of the most well-known and most beautiful Šumava trails. It was already marked as far back as 1967. It departs from the Ovesná train station and heads towards Černý Kříž. 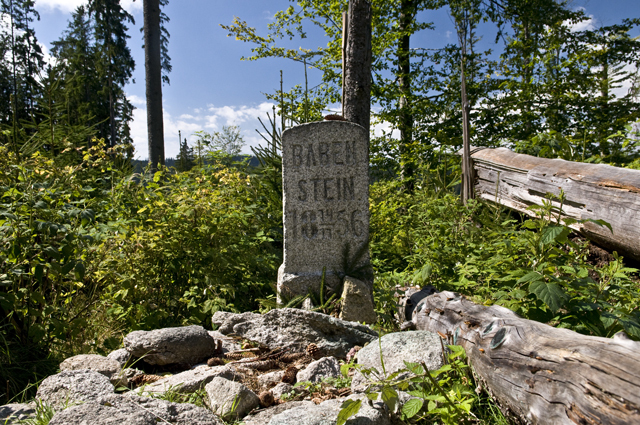 It passes by a number of remarkable rock formations along its 14 kilometer length, primarily the rocking stones, part of the Schwarzenberg Navigational Canal, and the monument on the site where the last freely living Šumava bear was shot in 1856.